Carly Burkhardt rolls in a par putt on the final hole to wrap up the win at the Green Valley Girls Classic. There were no signs of rust on Carly Burkhardt’s golf game. 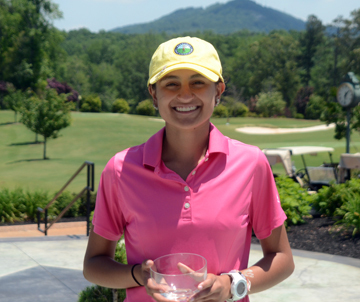 The future Furman golfer who had not played in a tournament for 15 months took the title at the first Green Valley Girls Classic. Burkhardt missed 15 months of golf while recovering from a wrist injury. The injury appeared, for a time, to put her golf future in jeopardy. The Greenville golfer came from two shots off the lead to post a final even par round and win the tournament at Green Valley. “It was a fun couple of days,” said Burkhardt. “I hit the ball well and putted well, I really enjoyed being back in competition,” she said. 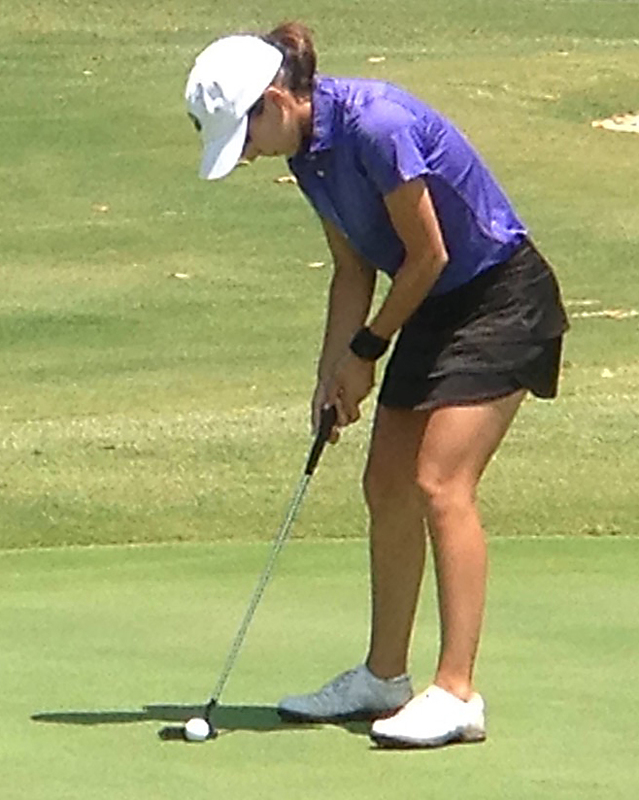 The event at Green Valley was the second tournament Burkhardt had played since recovering from her injury. “It really feels great to be back out here. I’m very thankful to be playing again and to be here with all of my friends,” she said. 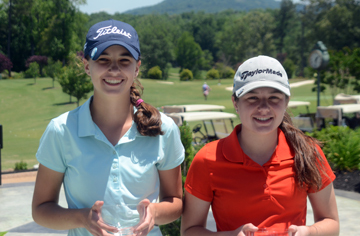 First round co-leaders Anna Morgan of Spartanburg and Morgan Cox of Pickens were not able to match their first round scores. Morgan shot a 7-over par 79 to fall back to third place, but was still pleased with her play in the tournament. Cox finished in eighth place. “I thought I might be a little nervous playing in the last group for the first time,” said Morgan. “I wasn’t and I played pretty well. 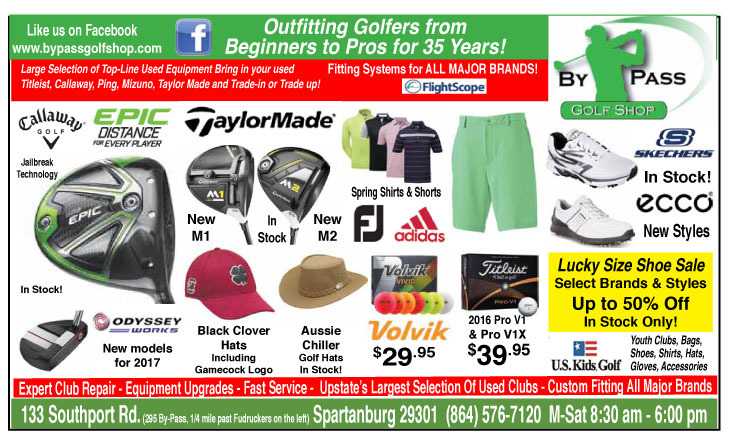 I made a lot of pars, but I had a couple of hiccups,” said the Spartanburg High School freshman. Victoria Huskey improved her score in the second round and finished as the runner-up at Green Valley. 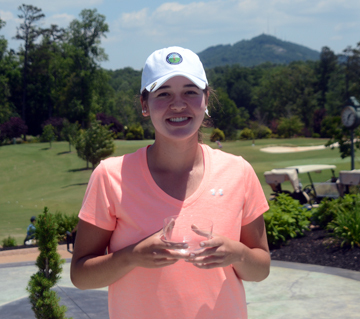 Last year’s AAA individual champion, Victoria Huskey from Travelers Rest, tried to catch Burkhardt and had her in her site. However, an out of bounds shot on the final hole cost her a double bogey. “I was playing well and had a chance, but the last hole cost me,” said Huskey. “I really like this course and the tournament was fun. 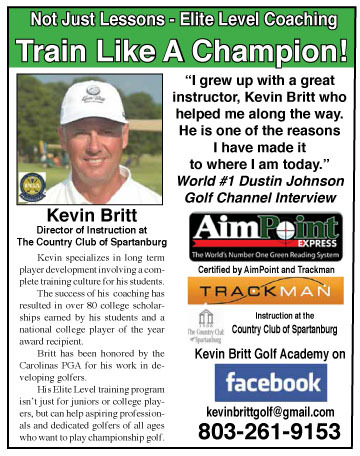 Since this was the first one I hope it keeps going,” said the future College of Charleston golfer. 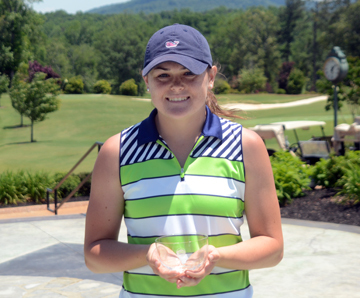 Greenville’s Carly Lyvers finished in fourth place and won the First Flight championship. Emily Cox of Fort Mill rounded out the top-five finishers. 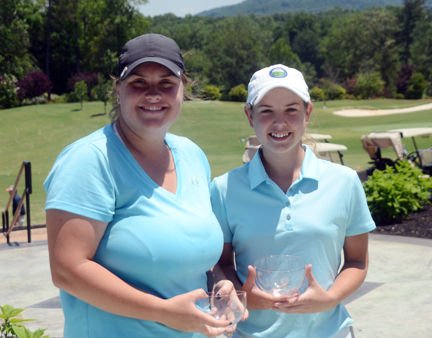 The tournament was sponsored by Green Valley and the Women’s South Carolina Golf Association. The event was open to girls between the age of 10 and 18 who had not yet started college. 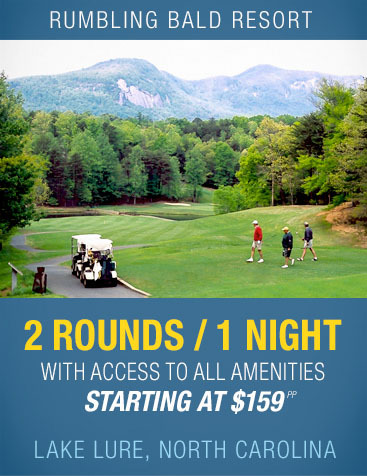 Young golfers from North Carolina and Georgia were invited to play in the tournament. 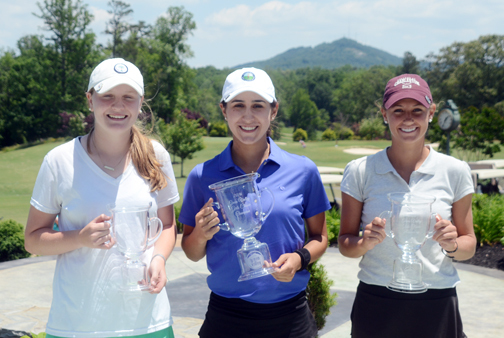 The top-three at the first Green Valley Girls Classic were Carly Burkhardt (center) champion, Victoria Huskey (right) second place and Anna Morgan (left) finished third. “For a first time tournament we are really happy with the number of girls who played,” said Jen O’Brien, the executive director of the WSCGA. “We had a very good group of top players from South Carolina and some good players from North Carolina. Given a little time we think this event has the potential to grow into something very special for junior girls,” she said. Second Flight, 1st Emily Cox, 2nd Baylee Evans.